Let's build a wrapper around the Skype Web SDK to allow any language or framework to quickly and easily send an Instant Message. Sometimes you need to change your Lync or Skype for Business email address (or SIP address), and as a result it would be helpful to be able to respond to people trying to contact you at your old address! 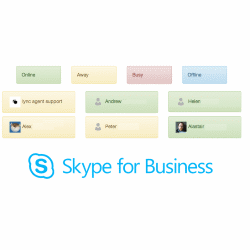 There's no easy way to export a list of contacts from the Lync or Skype for Business desktop client, but this can be achieved using the Skype Web SDK. I've updated my Lync and Skype for Business Presence Dashboard application to improve usability, look & feel and add a few new options. The dashboard is open-source and available for download. Whilst building my next Pluralsight course, I've come across a few more scenarios and solutions to keep in mind, many specific to the Chrome web browser. Tips and techniques for troubleshooting the Skype Web SDK. If you're having trouble getting the SDK to function, here are a few ideas to check and try. 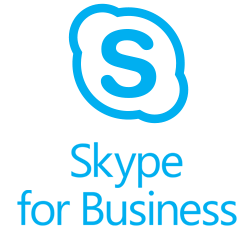 In my previous tutorial, I demonstrated how to interactively send an Instant Message using the Skype Web SDK. Now let's see how to send it automatically with just a few dozen lines of code. 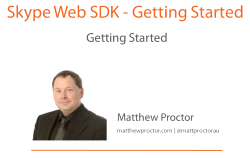 Learn about the new Skype Web SDK, how it works, how to starting use it, and how the SDK can help enhance your web site or application with Skype functionality. 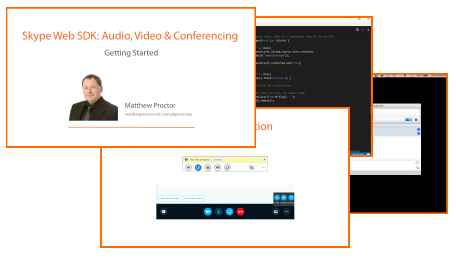 I’ve recently been accepted as a Pluralsight Author, and am busily creating the first of a series of courses on how to develop Skype-enabled applications using the Skype Web SDK. Pluralsight require a high level of audio and production quality (as they should! ), and as such I embarked upon a mission to upgrade my recording equipment to as close to studio standards as I can reasonably justify with minimal budget. 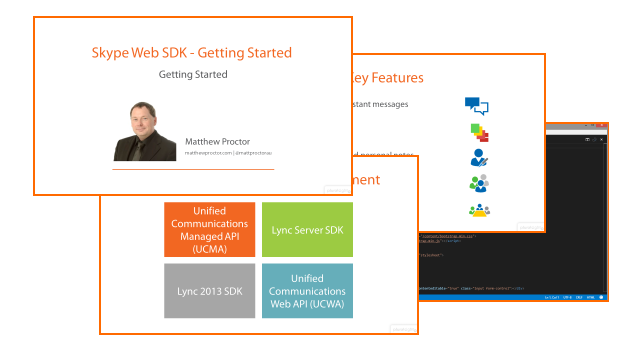 The Skype Web SDK is a powerful new framework built upon UCWA that allows you to rapidly build Skype-enabled applications and functionality. This is my collection of tutorials and courses. In this tutorial, learn how to build a Presence Dashboard to display your contacts and their availability status in real time. 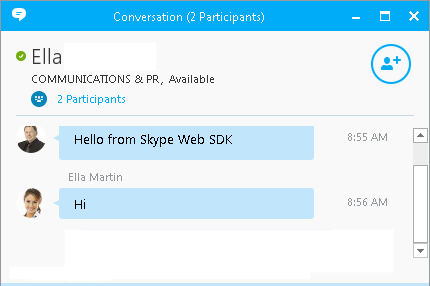 Yesterday, Microsoft released the Skype Web SDK Public Preview. Over the next few weeks I'll be posting a handful of tutorials on how to use the SDK in a real-world environment, but in the meantime these links can help you get started with developing against this SDK. Developing applications with the Skype Web SDK has never been easier with the tools released today by Microsoft at the Build 2015 conference. 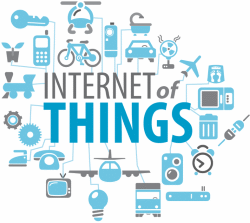 A presentation and discussion about various Lync and Skype for Business development frameworks (UCMA, UCWA, Skype API, 3rd party) and how they can be used as a pathway to implementing IoT (Internet of Things) communication to Lync and Skype users. 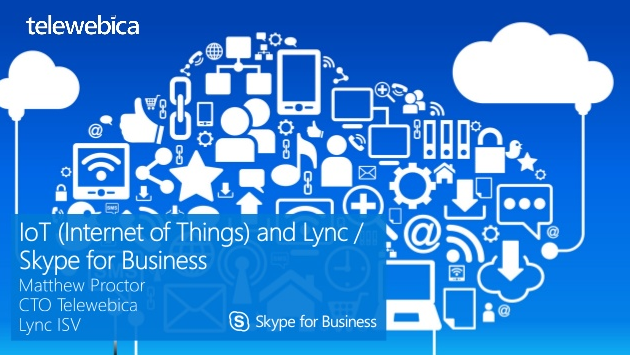 Today, most people think of Lync and Skype as tools for Unified Communications – Instant Messaging, Audio and Video conferencing, Application Sharing and in some instances telephony solutions. 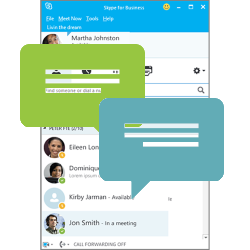 Lync (and soon Skype for Business, the next version of Lync) can also be used as the end-point for receiving and processing a wide range of modalities, including Instant Messaging. 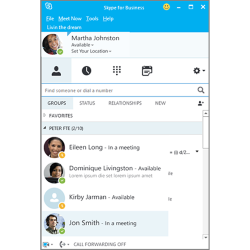 Microsoft have announced a significant update to the Lync product range, including rebranding the product as Skype for Business, bringing it closer to final convergence with the Skype platform and direction. The changes are slated for the first half of 2015. 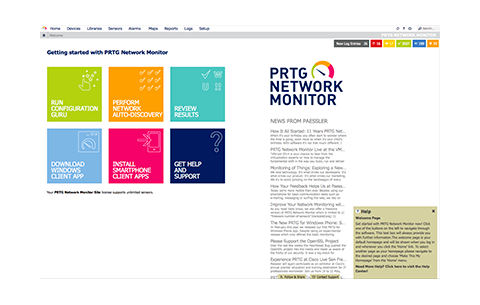 More than 150,000 administrators rely on PRTG Network Monitor every day to monitor their LANs, WANs, servers, websites, appliances, URLs, and more - now they can easily send notifications via Lync using Lync Agent.